Do you make new year’s resolutions every year, but somehow never make it past January 15? This year try something different and choose a focus word for the year, and see if it helps you reach your goals this year! Here we are at the start. The beginning. Fresh and new. I could wax oh, so poetic about the new year. I love the idea of a new slate and a new, fresh beginning. A time to start over after the mess of the former day, week, year. But I will refrain from repeating myself. I wanted to just make a quick post to tell you about how I am approaching my goals and vision for the new year. It is a good idea to take some time periodically to review where you have been, where you want to go, and the goals and vision you have for your future. 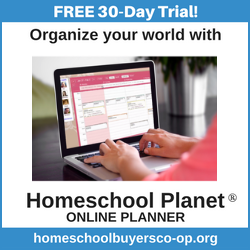 My practice typically is to make an overall plan in January, revisit my homeschool goals in April or May when I am reviewing our past school year and buying next year’s curriculum, and then again in September when we start a new school year. So this year, I am doing something a little bit different than I have in the past. I usually make a list like almost everyone does. 1. Read my Bible every day. Does that look familiar? Yep, it’s the same list I have written every January since I was twelve. Yeah, I might have added a few more bullet points a few times over the years, but basically it’s been the exact same list. Do you know what happens? Every year, I do awesome for about three days. I get on a great diet, and eat right for may.be… a week. Then I fall off the wagon and I’m right back to eating the same things I did on December 31. And you know what they say about insanity, right? The definition of insanity is … say it with me…. doing the same thing over and over, and expecting…. So this year, I am doing something different altogether. I have chosen a word that I want to envision for my life in 2017. One that encompasses every facet of my life. Spiritual, emotional, relationships, money, homeschool, business. Everything. I want everything to be affected by this one word. So my word for 2017 is soar. Soar. Like an eagle. With God’s help. So, what is your word for 2017? Come on over to my Facebook page and let’s talk about it!